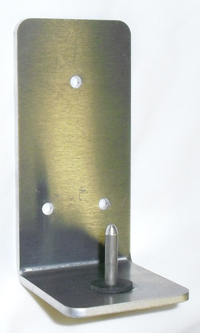 Made from .100" thick H-32 5051 Aluminum and the post are machined to exacting specifications and bull nosed to allow you to fit your weapon on to the ultrasoft aluminum shaft. TWS-P22 with a 13/16" shaft. Between these 3 sizes, you can fit almost every weapon in your collection from .22LR to 9mm to .500 S&W Nitro. 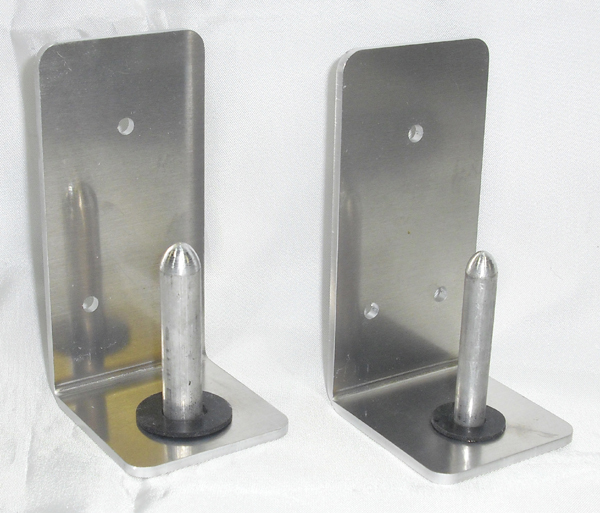 They can be mounted to any surface by way of the lasered 3/16" holes on the back plate. NO, the aluminum peg WILL NOT harm your barrel. Remember, you are squeezing a copper jacketed bullet down your barrel at over 900fps. WILL NOT harm your barrel. 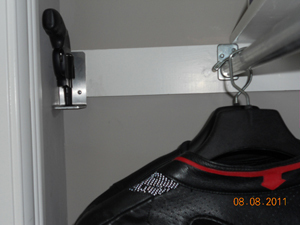 WILL NOT harm your bore in any way and you can be assured that your weapon will be easily accessible no matter where you mount these weapon holders from Tiger Holster Systems. Put one in your floor safe, under your store counter top, under your desk by your knee at a 45 degree angle, just about anywhere you can think of to have a weapon handy when needed. The soft neoprene rubber washer mounted over the shaft and on the plate protects the nose of your weapon when you place it on the holder. These are the perfect holders for you service carry folks who don't have an extra holster and you just need a place to put your weapon when you get home after a long day on duty. 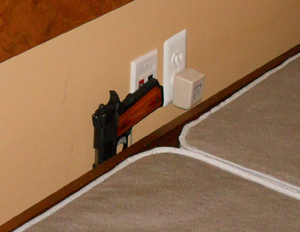 Mount them on the inside of your safe door or a back wall of the safe, anywhere you need to put a weapon without a holster that you can Grab and GO! 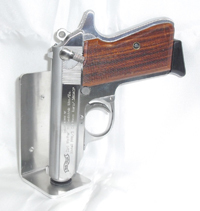 You just can't beat a Tiger Holster Systems Pistol holder. 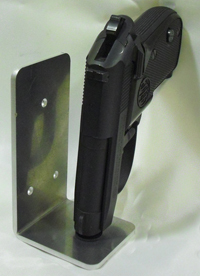 TWS-P22 Pistol Holder Plate- made from .100" 5051 aluminum plate. 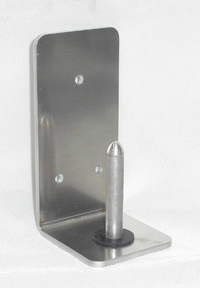 TWS-P38 Pistol Holder Plate- made from .100" 5051 aluminum plate. 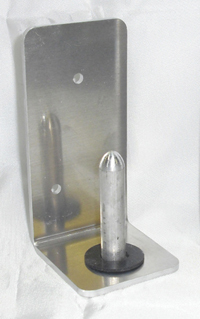 TWS-P45 Pistol Holder Plate- made from .100" 5051 aluminum plate.